Westminster is located in Oconee County, the northwestern county in South Carolina. Located only 11 miles from Interstate 85, regional market access is above average, with driving proximity to Atlanta, GA and Charlotte, NC. 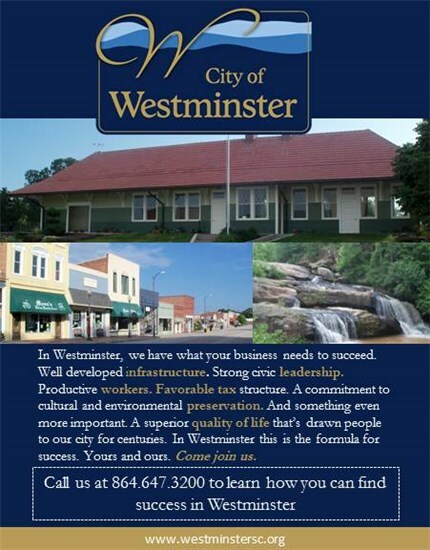 With diversified economic base, ranging from modern industry to quaint shops along its historic Main Street, the City of Westminster is committed to fostering the continuing health and welfare of its businesses, as well as attracting new business to enhance the ones already located here. Day-to-day affairs of the City are administered by a City Administrator appointed by the City Council. A committed police force provides 24-hour security for all businesses. The City work with Oconee County to provide building permits and plan reviews. Water, sewer and electrical services are provided by the City of Westminster. Natural Gas services are provided by the Fort Hill Natural Gas Authority. Westminster’s location in relation to large metropolitan areas makes it a desirable location to locate. You can enjoy this safe, slow- paced small-town environment and also travel to Atlanta, GA via Interstate 85 in ninety minutes. Or you can drive to Greenville, SC in forty-five minutes. 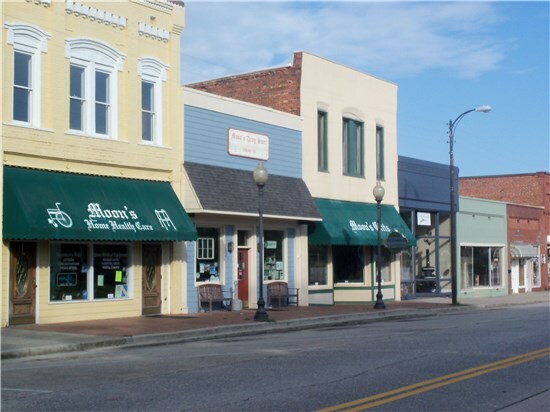 Large retail stores are just ten minutes away in Seneca, SC or thirty minutes away in Anderson, SC. Clemson University offers the best of academic and athletic just sixteen miles away. The ambiance and quality of life in Westminster make it an ideal choice for many businesses that locate in Mountain Lakes Region! For more information concerning starting a business, or relocating your business to Westminster, please contact Chris Carter, City Administrator at (864) 647-3232 or via email. More information may also be found at Oconee County Economic Alliance.